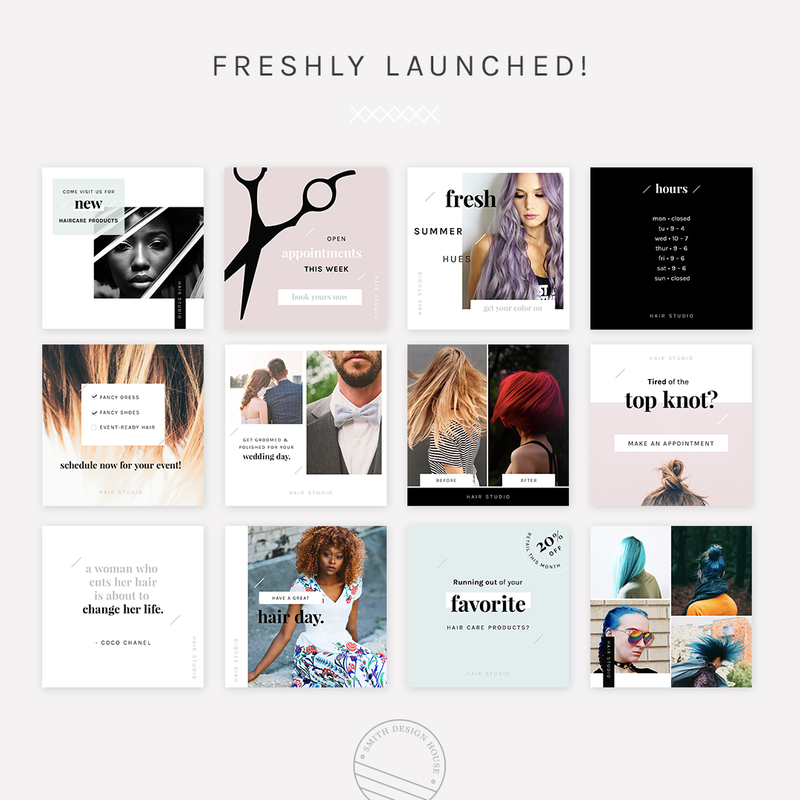 New Creative Market Product Launch! I’ve been slowly working on rolling out our new Creative Market product in our little shop on the web and it launched this week! I’ve always secretly wanted to be a hairstylist so that has inspired my two products that we have listed for sale. 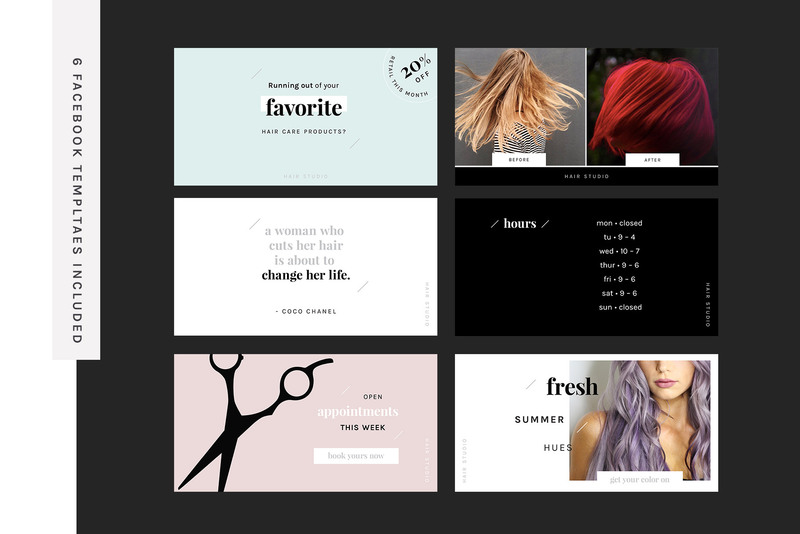 The most recent one is a Modern Salon Social Media Pack which includes 12 Instagram photoshop templates and 6 Facebook templates that can easily be customized to fit any salon or hairstylists’ needs. I hope that this product meets the design needs of any small salon business by elevating their brand on social media platforms. 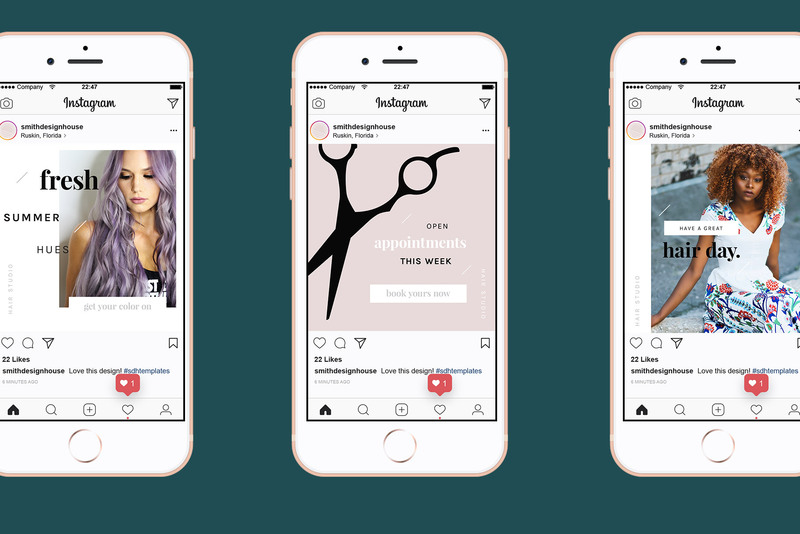 These templates provide consistent styling and engaging messaging, helping salons stand out from the crowd. If you’re interested in purchasing these for your salon or small business hair studio, you can download them here. I’m also available to help with creating custom social media post templates for your business directly. Contact me for pricing and details!